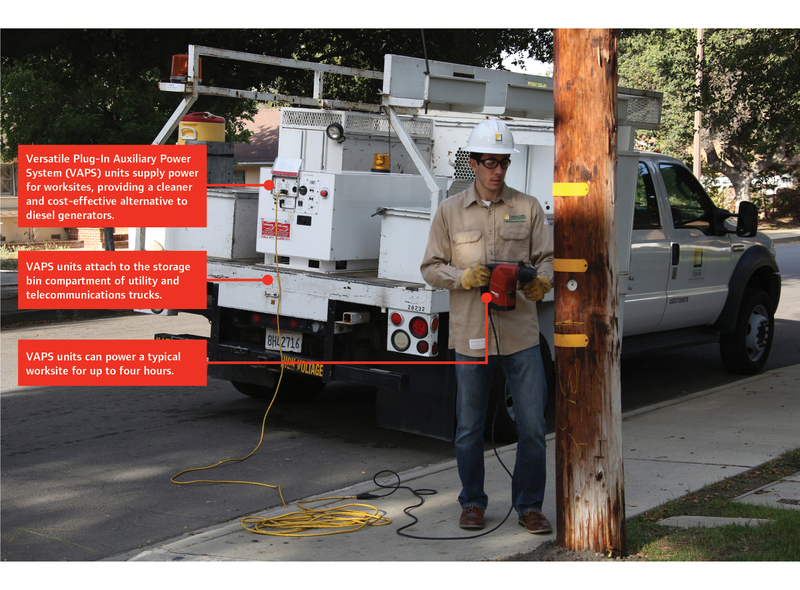 The Versatile Plug-In Auxiliary Power System (VAPS) is a portable battery system that provides power to utility and telecommunication workers while at the worksite. VAPS, which can power a worksite for approximately four hours, provides a clean, cost-effective alternative to diesel generators or truck engines, which are currently the most common sources of power at worksites. 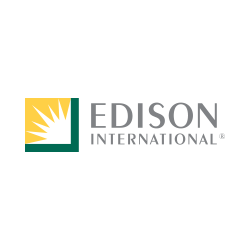 The first VAPS prototype was built by Southern California Edison (SCE), the utility subsidiary of Edison International, in 2011 in partnership with U.S. Hybrid, which assembled the unit, and the Electric Power Research Institute, which provided project management oversight of the prototype’s development. The prototype is currently still in the testing phase, with progress being made toward a production version. Multiple utilities and telecommunications companies have expressed interest in testing VAPS units. Each VAPS unit provides 16 kilowatt hours of power, enough to power the typical worksite for four hours. The unit attaches to the storage bin compartment in the back of work trucks, allowing for easy loading for utility workers. The VAPS unit provides power to the truck’s onboard electrical systems (e.g., lights and air conditioning) using the same connection that workers would use to connect the truck to a diesel-powered generator. Further fuel savings can also be achieved by connecting the vehicle’s hydraulic equipment to the battery system to power the truck’s bucket (e.g., a cherry picker). In addition to fuel savings, the VAPS battery system provides a cleaner, quieter work environment. Improved environmental performance: VAPS units allow utilities to operate on battery power rather than diesel. SCE estimates that each VAPS unit can displace more than 1,000 gallons of diesel fuel per year, avoiding more than 22,000 pounds of carbon dioxide emissions annually. Greater fuel flexibility: VAPS units provide a cost-efficient method for the existing fleet of diesel-powered trucks to use battery power at the worksite. Business Roundtable members are creating technologies that actively contribute to a more efficient, secure and sustainable future for their customers and the public at large. 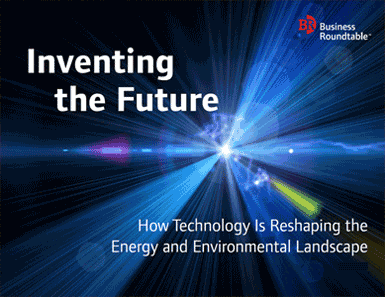 In Inventing the Future: How Technology Is Reshaping the Energy and Environmental Landscape Business Roundtable highlights just a small sample of technologies that are actively contributing to a more efficient, secure and sustainable future. Business Roundtable is an association of chief executive officers of leading U.S. companies working to promote a thriving economy and expanded opportunity for all Americans through sound public policy.